The golden rule of house selling is to remove your stuff. Sure, your belongings are treasured and loved by you, but prospective buyers are unlikely to feel the same. They want to imagine living in your home, without you in it. 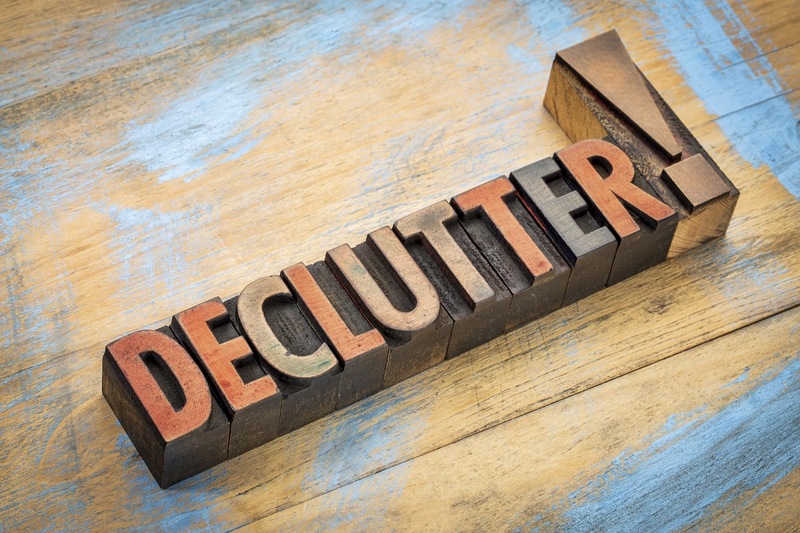 A decluttered home also looks cleaner, more spacious and brighter. With fewer things to blocking the view, you can show off the best features. Don’t forget, you have only a few seconds to make an impression. If you don’t have time to hang around, services like ‘we buy any house UK’ can take the pressure off you by organising the sale and contracts. This means you can focus on clearing your home as quickly as possible. But it’s easier said than done. So, if you don’t know where and how to start, here are six decluttering ideas to inspire you. Before you do anything create a system to help you focus. Get four boxes or bags and label them ‘keep’, ‘chuck’, ‘recycle’, ‘storage’. This will help you quickly identify the best new ‘home’ for your things. Consider also removing furniture and old carpets to create extra space e.g. extra chairs and cabinets. For instance, the drawer in the kitchen stuffed with takeaway menus, loose batteries, an unknown door key and biro pens with no lids. Can you find anything in it — no? Best thing to do is empty the whole thing into a throw-away box and fish out the odd useful item and chuck the rest. The 10-minutes sweep is a great ‘decluttering’ icebreaker. It’s amazing how much space superficial clutter can take up. Invite a friend or family member or even an older child to help you. Grab a bin liner each and sweep through the house chucking away as much rubbish as you can find. Things like empty shampoo bottles, old magazines, random tupperware lids, old shoes, old towels. Better known as the 80/20 Rule. A good technique to apply when clearing out clothes and shoes. The idea is we only use 20% of our things 80% of the time. For instance, a dress or a pair of shoes you only wear once a year is probably better off in storage than taking up space in your wardrobe. This is simple — if you haven’t used it, or even looked at it in the last 12-months — throw it away. Brutal, yes. But I promise you won’t miss it. If want a quick sale and don’t to wait till your house is totally clear, services offered by House Buy Fast can take the pressure off you. This means you can take more time to properly and calmly sort out your belongings.